identification uncertain Unidentified bird - Aves indet. Thanks a bunch but to learn to help myself in the future; what tell-tale did you use to identify the bird? Thanks for your answer Frank, but please bear with me for a moment while I try to get this straightened out. I do get the technical part of your explanation. However, when it comes to the practical application I utterly fail; I am not even sure what white region we talk about anymore (is it the one I marked with a yellow circle?) and I am equal ignorant about how enumeration of wing feathers are done therefore I don't even know which feather P4 is, never less the others. Would you be so kind to please straighten out these things for me? Btw, I have read your sticky thread from 2008 before I even posted my question, but I didn't get much wiser from it, rather more confused when trying to both understand the dutch and the technicalities of the problem at the same time. 1. For brachydactyla (Boomkruiper): A = B or even A < B; C = often absent or very small but sometimes rather prominent and in that case the top is situated lower than or at most equal with the tops of steps on p5 and p6 (no 'cup'); E < D.
2. For familiaris (including macrodactyla and brittannica) (Taiga/Kortsnavelboomkruiper): A > B; C = always present (mostly prominent) and the top of it reaches higher than the tops of the steps on p5 and often also on p6, creating something like a 'cup'; E = D but often E > D.
Beware that only the combination of A/B and C is diagnostic for familiaris and in this species (and its subspecies) almost always present in this way. Brachydactyla is much more variable and càn show one of these characters (some individuals show A > B òr even a 'cup') but never both! Also bare in mind that D/E is variable and in this respect only birds with very long òr very short claws are distinctive in the field but lots of them are not. Always try to use it in combination with A/B/C. Thanks a bunch Frank, I understand how, where and what to look for now (and what to try get pictures of next time I see a treecreeper;). Many thanks again. 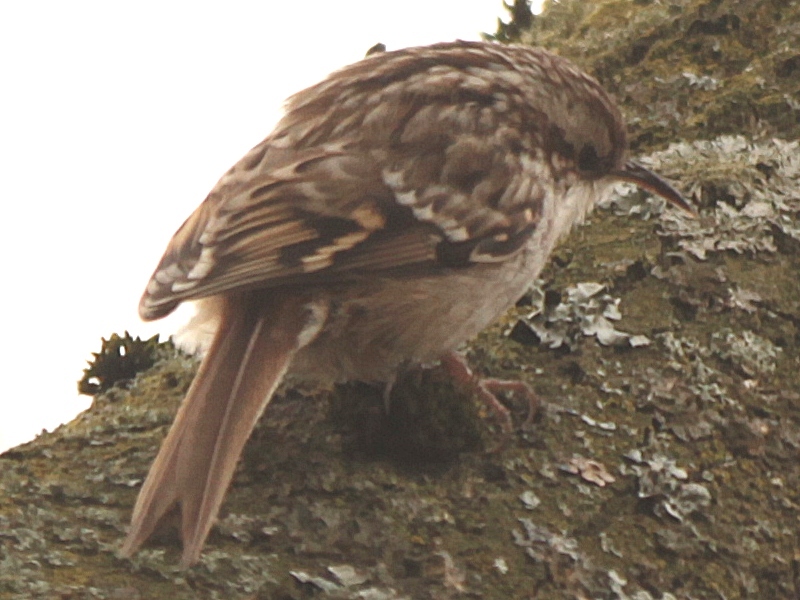 I presumed I saw an ordinary treecreeper today, but this post makes me doubt. Unfortunately the pics aren't all that sharp. Which one is it? 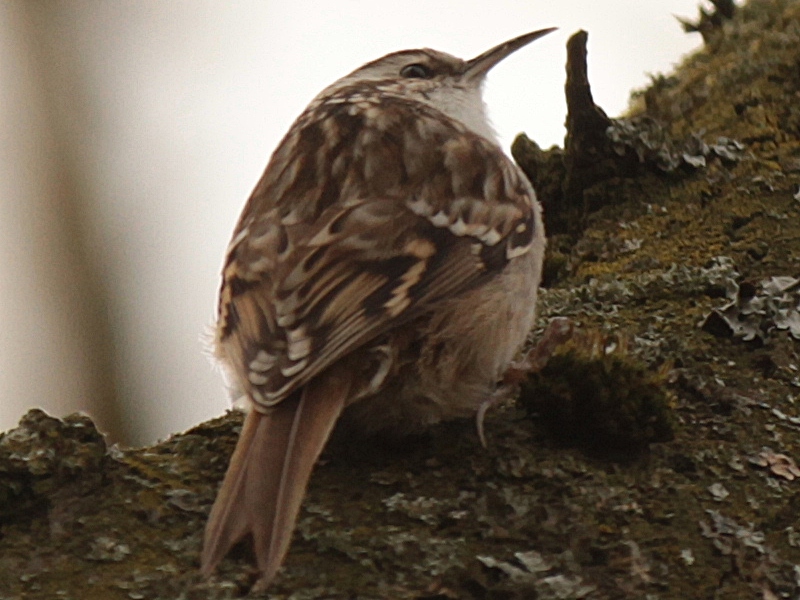 'Your' bird is a Short-toed Treecreeper (C. brachydactyla). The top of the 'step' on p4 is equal to the tops of the steps on p5 en p6 (no 'cup') and furthermore A = B indeed. Would you say that that the mark on p4, C, is small on this bird? (And, if I understand right, on my original bird the mark on p4 seams to be non-present). I would say that on this bird the mark ('step') on p4 is rather prominent which is not very often the case in brachydactyla: more often it is small(er) or even missing. In familiaris it is (nearly) always prominent so "missing" in itself is a (very) good indication for brachydactyla. If not, especially when the mark is as prominent as in this bird, you will need to look at the other ID-features.